Despite its rather weird-sounding name and odd-looking fruity character, Papa Pear Saga offers a nice twist to the classic Peggle game from PopCap! Join Papa Pear, the crash-helmet-and-goggles-wearing bearded fruit, as he bounce his way across a minefield of acorns, carrots, and other assorted fruits and vegetables to finally crash land into the buckets below! Different levels may have different objectives and you should make sure to complete those objectives in order to earn enough points to move on to the next level. Not to mention, the game also has various level types that spices up the challenge in the game. There are boosters that can help you with some of the tougher levels too! 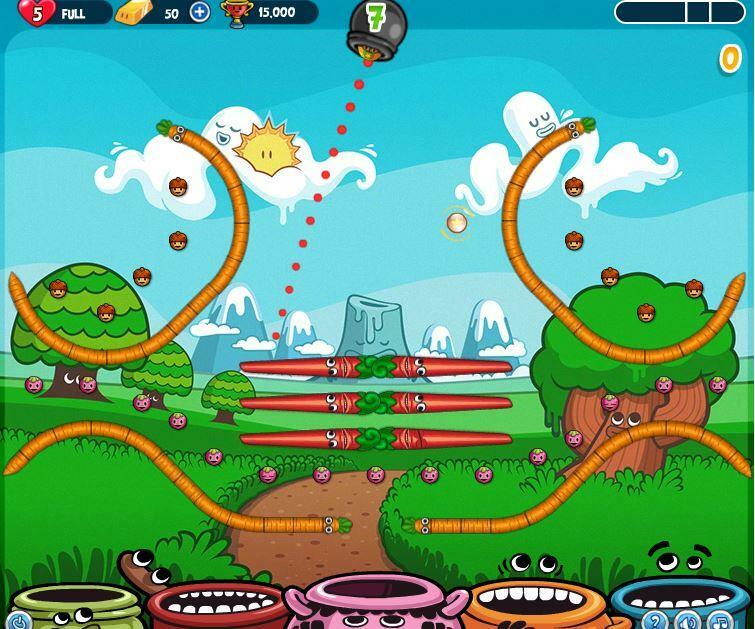 To cut to the chase, if you love Peggle, then you simply must try Papa Pear Saga! The gameplay is pretty simple and straightforward in this game, particularly if you’ve played games like Peggle or any other forms of Pachinko before. 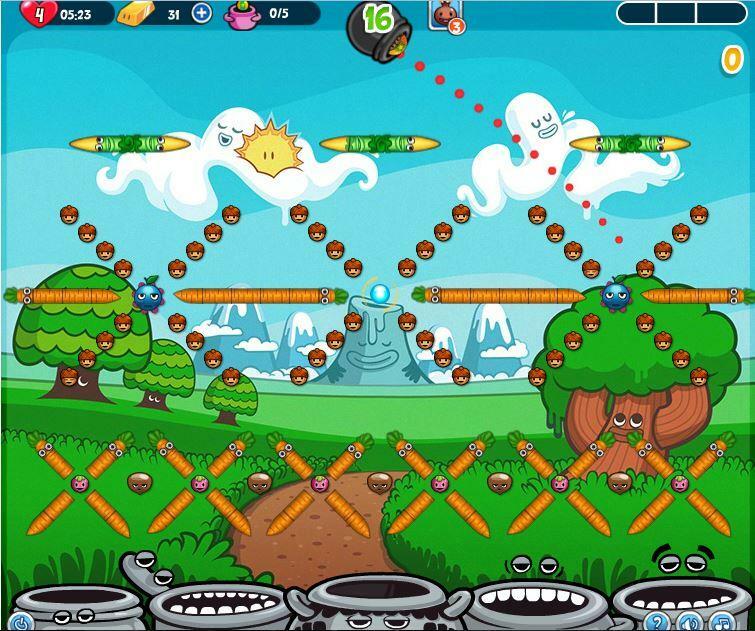 What you need to do in this Papa Pear Saga is to shoot Papa Pear from the cannon at the pegs on the board. Papa Pear bounces from one peg to the other and every pin he hits will be removed from the board, crediting you with points for every removed peg. The game may sound easy, but do take note that you are only given a limited number of Papa Pears to shoot and some of the pegs may start to move around in the later levels. These pins can be made up of a variety of fruits and vegetables, including berries, radishes, carrots, chili, acorns and many others, and have various shapes and sizes! Some pegs may take more hits to be removed, for instance, radishes and chili both requires 2 hits to be removed. The more points you get in this game, the more stars you will earn! You will need at least 1 star in order to proceed to the next level. You must have noticed the teeth-rimmed buckets (that honestly look more like pots) at the bottom of your screen. Well, they are there to collect the falling Papa Pear after he’s done with the routine of bouncing all over the place. Unlike in Bubble Witch Saga, which bucket Papa Pear ends up in doesn’t really matter since each Papa Pear that enter the buckets will award you points based on how many bounces and clears he did (unless the level objectives require it). There are also several more unique ways to gain extra points. One of them involves shooting Papa Pear directly into a bucket. This will award you with 1000 points guaranteed and can be a useful move if you can manage it for certain level types! Since Papa Pear will be bouncing all over the board, there might be a chance that he may hit the ceiling, where the cannon is attached to, as well. For each ceiling hit, you’ll be given 500 points. Furthermore, there will be a papa fiesta at the end of every game and this fiesta will reward you with even more bonus points if you have any boosters left on the board. 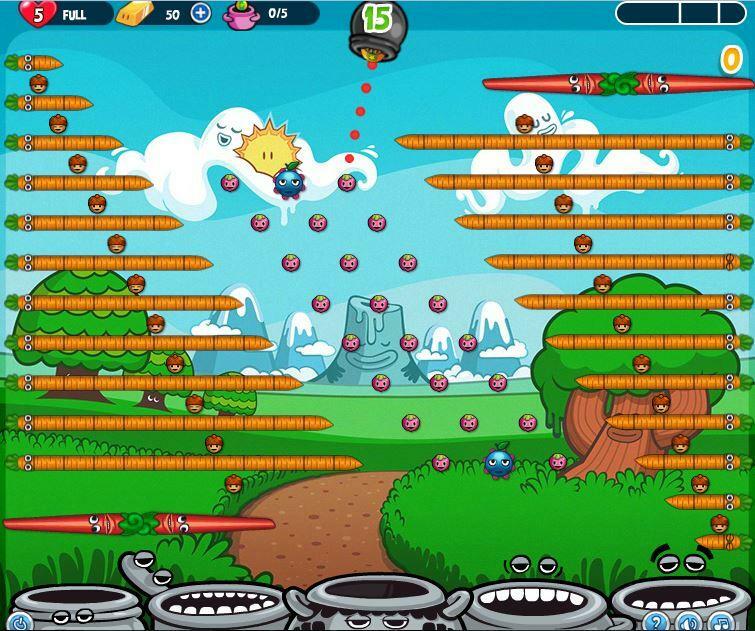 There are many level types in Papa Pear Saga. This includes the basic ‘use all Papa Pears to get a certain amount of score’ levels, ‘bring down the fruits’ levels, ‘light up the buckets’ level as well as ‘collect all acorns’ level. The first level type is pretty direct since you will just need to use all Papa Pears to get the minimum amount of score that the game requires. In the ‘bring down the fruit’ level, you will need to remove all the pegs that are blocking the fruits’ way from dropping into the buckets below. For this level type, if you managed to finish a level with any extra Papa Pears, these Papa Pears will be used up in papa fiesta and will award you with 10 to 15 thousand points – crazy, right? In ‘light up the buckets’ level, you will need to do some special Papa Pear shooting in order to get your Papa Pear through the pegs to each of the buckets below at least once to light them up. For the fourth level type, it’s pretty straightforward – you just need to collect all the acorns, some of which may be placed on hard to reach places, by hitting them with your Papa Pear. There are plenty of other, much more challenging level types in the later stages as well! Sometimes, you may encounter a difficult level that may cost you to lose a life. The game gives you 5 lives maximum, and any lives lost can be regain over time. If you are impatient though, you could always spend some real life money to buy extra lives too! However, if you are facing levels that had you stumped, you can get some boosters to help you out! 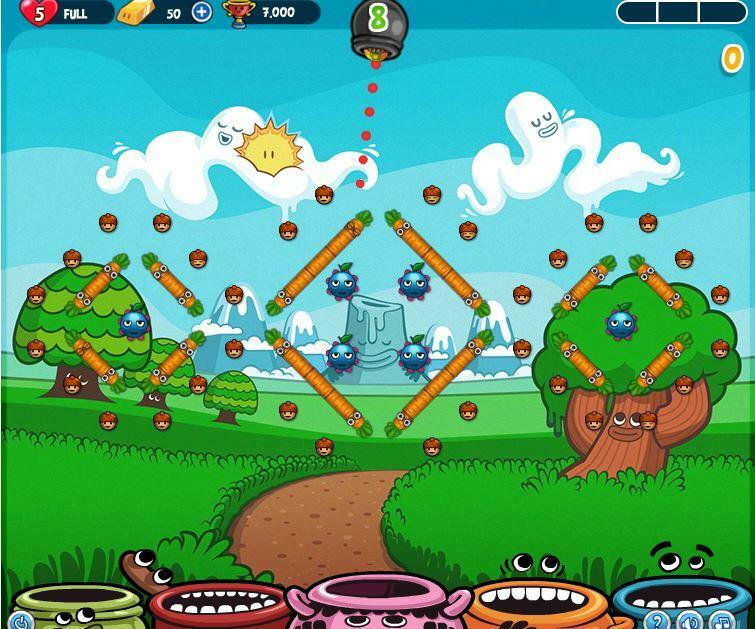 Some boosters will change the pins/ pegs into some special peg, such as multiplier pin that will reward you with 2x more score per bounce; double pin that will duplicate your Papa Pear or grande pin which will grow your Papa Pear into something that resembles the Hulk… if the Hulk is in the shape of Papa Pear, of course. Some boosters, on the other hand, will give your Papa Pear some “super steroids” to turn it into something devastating to the pegs. This include the pomegranade booster with will make your Papa Pear into an explosive that you can use to blow up some pins or the Papa Fire booster, which will, of course, turn your Papa Pear into a Human… uhm, ‘Fruit Torch’. This ‘Fruit Torch’ will then allow you to burn through pins like they are paper! Although these boosters require gold bars (real life currency), you will get a couple of them free at the beginning. Do keep them safe and save them for the tougher levels later on. There are a shocking 5 million likes on Papa Pear Saga’s fan page on Facebook! It is the fifth most liked game among the other games that King had produced over the years. So, be sure to check their Facebook fan page out if you want to meet your fellow gamers. You can also ask for help for any levels that you’re having some difficulty with on that page and you’ll surely get an answer… if not from other players, then from the staff at King’s! There is also plenty of fun stuff posted from time to time that you won’t want to miss, so just press that ‘like’ button to stay updated on the latest goodies from the fan page. The graphics in Papa Pear Saga is very cartoony-looking. However, Papa Pear, the main character in the game, does not exactly look like a pear… in fact, he looks more like an olive or a dark-olive-green-colored grape. He absolutely loves dancing (has pretty good dancing animations) though and this is evident with every level you complete. The music in this game may seem rather quirky at first, but it gets annoying later on. Thankfully, you can turn the music off and play some quality music of your own! 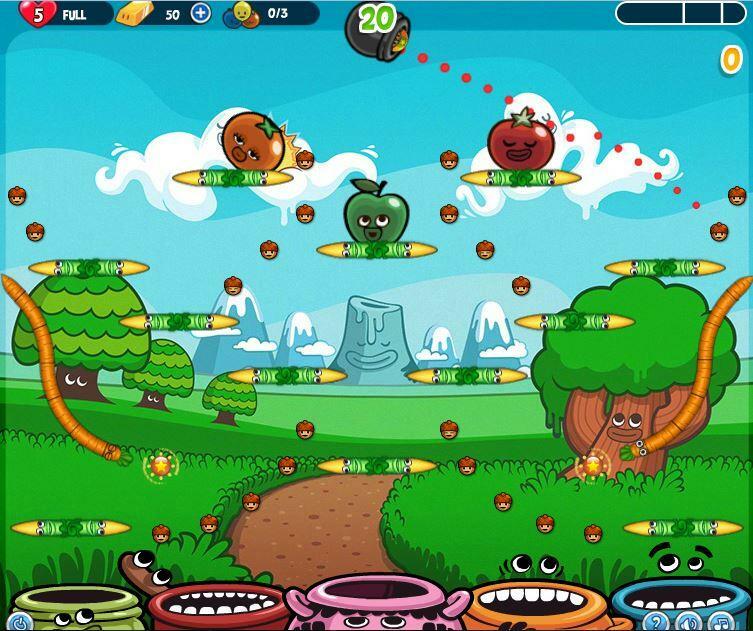 Papa Pear Saga is a fun-filled puzzle game modeled after the highly popular Peggle. 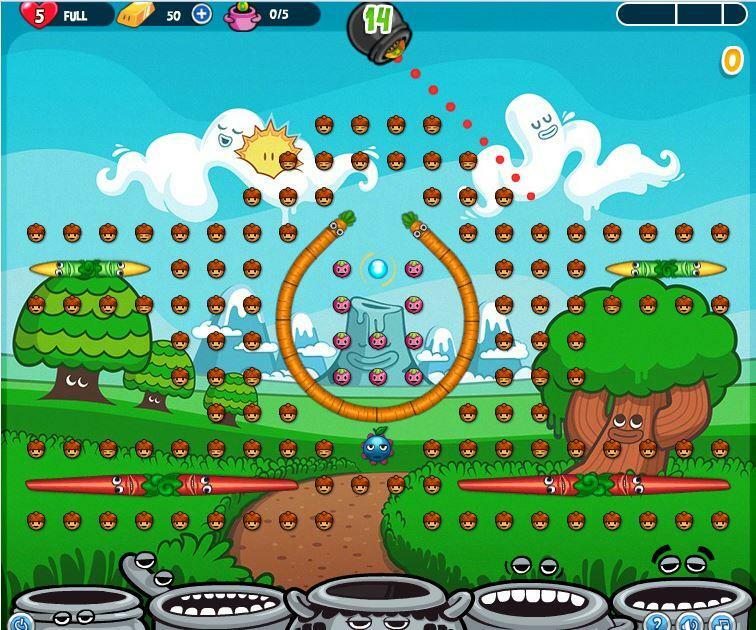 It offers a nice variety of uniqueness to its gameplay despite being based on the Peggle formula though. 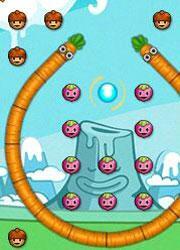 This game requires you to complete level objectives in order to proceed to the next by bouncing poor Papa Pear across the board and into the buckets below. 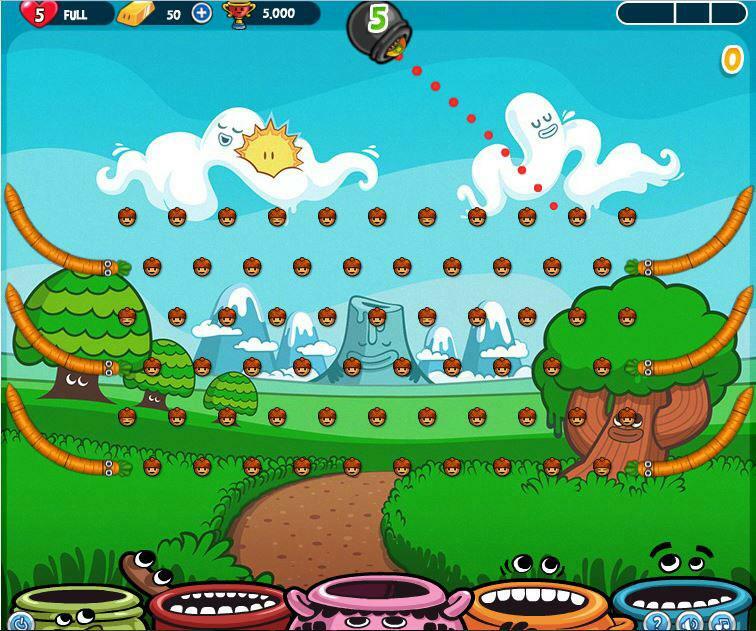 The game also has many level and peg/pin types that will surely pose as a challenge to you. If you need help with any of the levels, you could buy and use the huge range of boosters using hard cash. 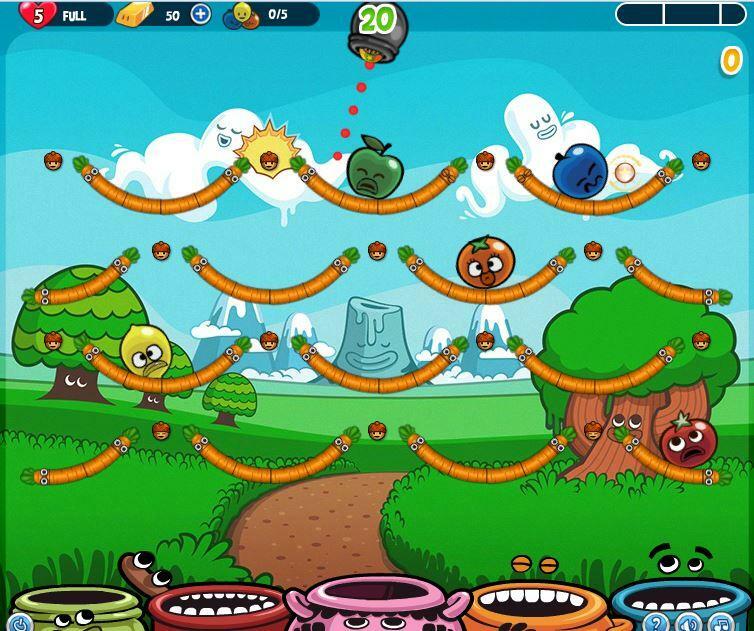 Although the game is not as popular as Candy Crush Saga, it is a pretty solid game with plenty of entertaining aspects (like seeing Papa Pear dancing in joy), making it a game that is worth the time you spend into it. by Aethyna May 27, 2015 Join Papa Pear, the crash-helmet-and-goggles-wearing bearded fruit, as he bounce his way across a minefield of acorns, carrots, and other assorted fruits and vegetables to finally crash land into the buckets below! 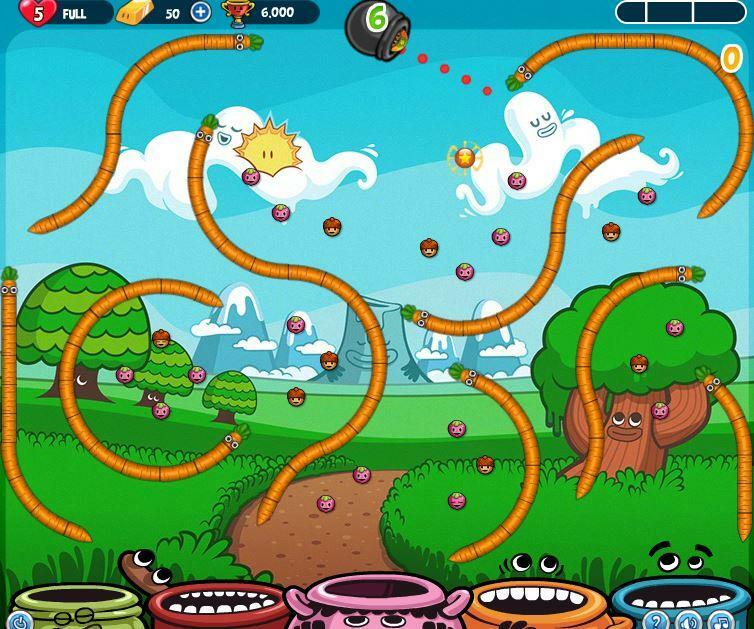 This game offers a nice twist to the classic Peggle game from PopCap! Try it now! Read More Be the First to Post a Review!